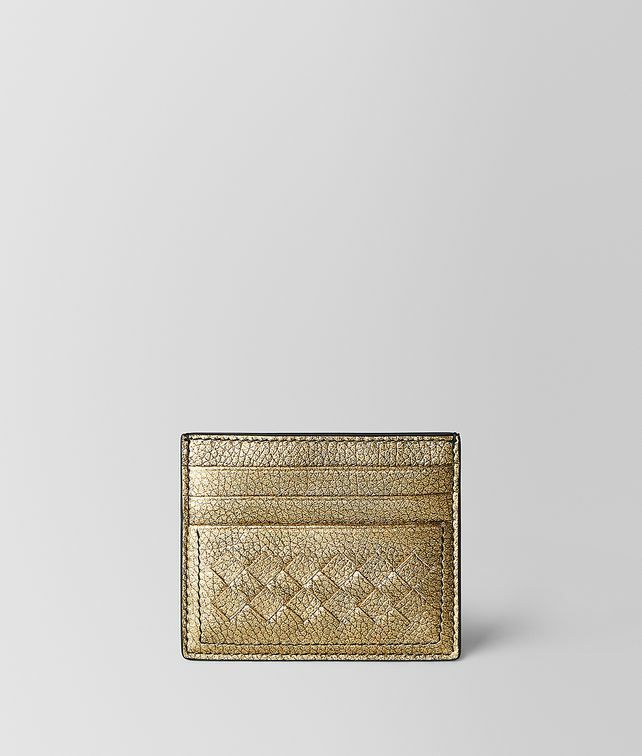 This slim card case is hand-crafted from calf leather that has been carefully treated to create a metallic hue and grainy texture. The design is detailed with hand-woven intrecciato and accented with black edges. Fitted with three card slots on each side and a central flat pocket for storing bills and receipts.